The MacDoctor: May The 4th Be With You. 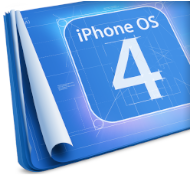 Hot on the heels of the iPad release, Apple has announced the key new features to be included in iPhone OS 4.0. In doing so, they've addressed several key requests as well as providing two new opportunities for iDevice developers, users and interested third parties. First, the most requested iPhone feature, multitasking. It was largely presented as a UI challenge that had to be overcome, and the demo seems to provide an elegant solution to switching between concurrently running apps on the iPhone. Second, the organisational tool, folders. This simply allows iPhone/iPod/iPad users to group together apps into styled folders, cutting down the number of potential home screens and as result, increasing the number of apps available on your iDevice significantly. Third, enhanced email functionality. Namely a unified in box, message threading, the ability to open attachments in third party apps. Fourth, the iBook app & store will be available across the line and not just for the iPad. Fifth, enhanced features for enterprise, including support for multiple Exchange accounts. And now we come to the new opportunities. Firstly, Game Centre, Apple's new social gaming network. And secondly, iAd, Apple's new mobile advertising platform. It's these final two features that will be fascinating to see develop as the platform moves forward. Could the iPhone OS continue to make gains in the gaming market with the introduction of Game Centre? And will iAd cause Google in any way to think again?